If you have more ideas, please let me know. You can also add them to the ws as it is fully editable. 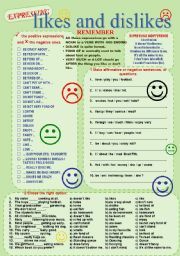 For teacher´s language look for http://www.eslprintables.com/printable.asp?id=450735#thetop. 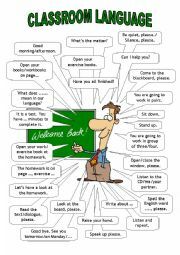 What do we teachers say on the lessons? An editable ws. 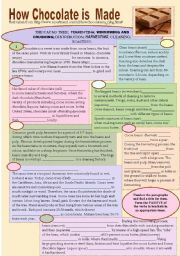 Classroom language for students is at http://www.eslprintables.com/printable.asp?id=450493#thetop Have fun! 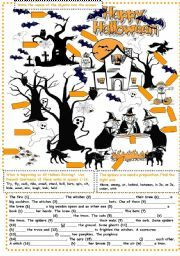 A matching and a cloze exercise with a bit of explanation of the Halloween symbols. Who does not like it? A delicious challenge. Put the paragraphs in order of the chocolate making process. Decide which subtitle suits each one the most. Form the Passive of the verbs in the brackets (Simple Present, Past Simple or Present Perfect). Key provided. Text from the net. Vocabulary and some exercises on likes-dislikes and freetime activity. 2 pages +key. Have a nice day. Two exercises to a Halloween picture. Present Continuous and some Prepositions are missing from the text. 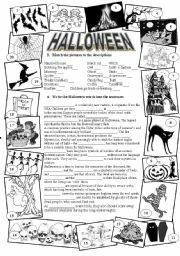 Halloween vocab needs preteaching. Students don´t find it as easy as it looks. Key provided. Have a nice day! 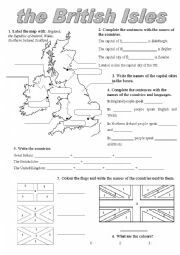 A simple ws to test basic knowledge about the differences between the British Isles, the UK and Great Britain for beginners.Have fun! Revised version of my old ws. 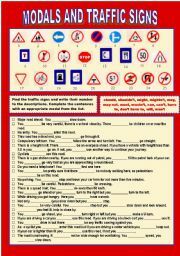 Match the traffic signs and their descriptions. Complete the sentences with an appropriate modal. In many cases there are more right answers. Possible sollutions are given. 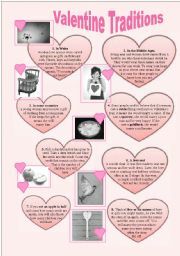 What can you ´do´ with your body parts? Find the part of the body associated with these verbs and solve a gap filling activity. Key included. Have fun! Check your students´ knowledge of Passive Voice in an exciting game. Present and Past Simple vary. Instructions in the second slide. Have fun! Simple wheel game with the Wheel of Fortune. Animated gap-filling exercises. 23 slides. Thanks to Philip Martin for his great clipart. Have fun! Wheel game, this time about prepositions of time. 16 sentences with pictures. Have fun! Save the frog, by choosing the right subject or object pronoun. 20 sentences. Fully animated with sound effects. Have fun! Game about environmental vocabulary. Reading the definitions the students guess the environmental phrase it is defining.The pictures help them.Enjoy the game! Listening Exercise. Fill in the missing cooking verbs in the meat pie recipe. Learn also some kitchen utensils vocabulary. Enjoy your pie. 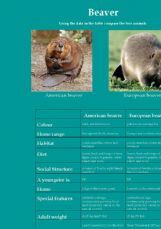 Compare the American and European beavers. All necessary data are given in a table. 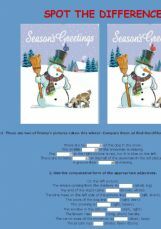 Find the diference in the two pictures of Frosty, the snowman, taken this winter. Complete the sentences with the given vocabulary. 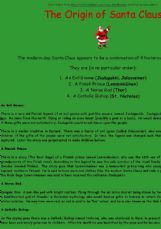 Where does the Santa legend come from? Find out solving the reading comprehension exercise. 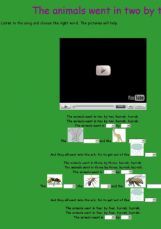 The song "The Animals Went in Two by Two" to review some animals and numbers vocabulary. Have fun! 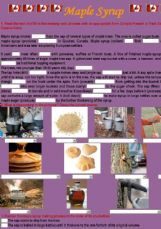 How Maple Syrup is Made? Beatrix Potter´s tale for reading and listening. I´ve prepared this activity as an Easter present for my students. Have fun! 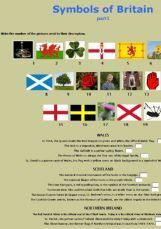 Learn the national symbols of the different parts of Great Bitain through an easy exercise. 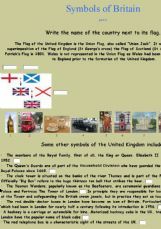 All British icons in simple exercises.